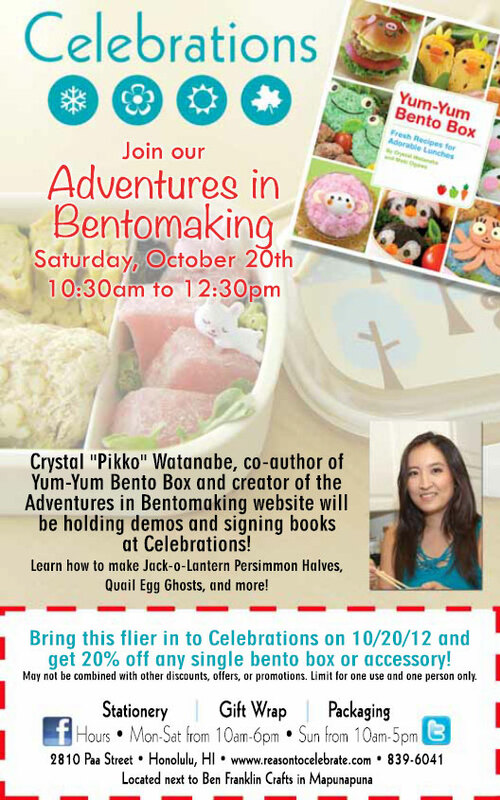 It’s been a while since I’ve done any events for the cookbook, but a local store here on Oahu contacted me a few weeks ago about doing a bento demo at their store Celebrations in Mapunapuna. 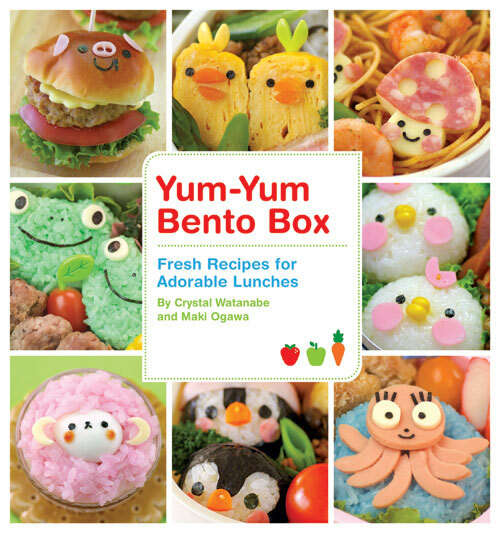 Since Halloween is coming up, it’s a great way to give people seasonal bento ideas, so I was happy to say yes. The event will be on Saturday, October 20 and here is their promotional flyer, which you can print out and bring with you for a discount. Be sure to follow them on Twitter and like them on Facebook!